Just three miles from Navy Federals main campus! Enjoy the quiet neighborhood of Busbee Plantation while also being a short drive away from the interstate to get to downtown and the beaches. Beautiful brick home which sits on a corner lot. As soon as you walk in the front door, you'll see the gorgeous flooring in this massive home. Wood and tile flooring in the main living areas. Even the spare bedrooms have large closets. This property boasts just under 3,000 sq ft of living space! The kitchen is huge with a ton of cabinet space as well as two islands. All appliances convey with the home as well. Cathedral ceilings make this home feel even bigger than it already it is. The HVAC was replaced in 2015 and the garage door was replaced in 2019. Two inch vertical blinds also stay with the home. Beyond the house itself, this home resides in great school districts with Kingsfield for elementary, Beulah for middle and Tate for high school. Call and schedule your showing today! 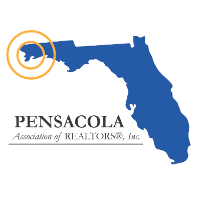 I am interested in 6713 Fort Deposit Dr, Pensacola, FL 32526 (Listing ID # 549643).